﻿ Book Magdalena Grand Beach & Golf Resort (Lowlands) - 2019 PRICES FROM $221! Including a private beach area, hot tub and 3 swimming pools with terrace, the Magdalena Grand Beach & Golf Resort is set on the shores of Little Rockly Bay and a 10-minute drive from Scarborough City. The rooms and suites include free Wi-Fi and all feature air conditioning, a fan, desk and satellite TV. All accommodations also have a fridge, balcony and a private bathroom with shower, bath and free toiletries. 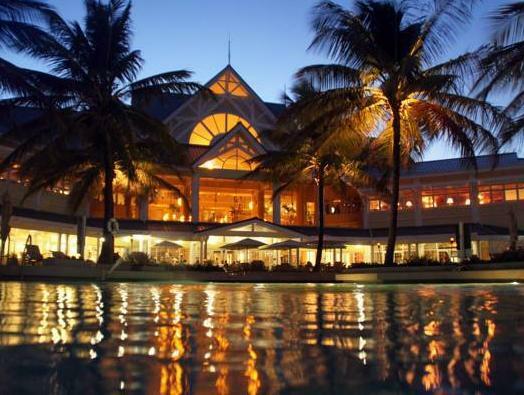 The Magdalena Grand Beach & Golf Resort features 4 dining options, 3 bars and a breakfast buffet included in the rate. Guests at this ocean-front complex will enjoy a golf course, tennis courts, kids club, spa services, banquet and meeting facilities and a diving center. Activities such as hiking, bird watching, kite surfing and horseback riding can be arranged. The Magdalena Grand Beach & Golf Resort is a 10-minute drive from Pigeon Point and a 30-minute drive from Argyle Falls. Dwight York Football Stadium is a 20-minute drive away and Arthur Napoleon Raymond International Airport is a 5-minute drive away. Please note that the Credit Card submitted on the website for advance payment must be presented upon check-in time at the hotel for verification and signing by the card holder. If the same card is not presented for verification and signing, the hotel would request another method of payment for settlement of your charges at check-in time. Please note that guests must send the cvc code for all payments made with American Express. Please contact the property with the details provided in your confirmation. Cvc code for the american express card much be send to the property if not they can not make payment.